Must be 16 or older to take a lesson. Times Monday through Friday starting at 4:00 pm. Please call for available times. Saturday & Sunday - 10:30 am to 4:30 pm. Please call for available times. Also available by appointment. 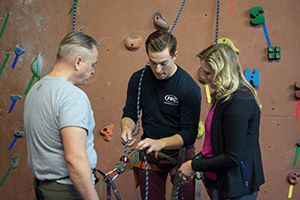 Class sizes are limited, so call 877.822.ROPE to ensure your spot! Cost: $45.00 Coatesville | Oaks | East Falls | Wyncote Includes two lessons, equipment rental, day pass, and FREE two week pass! Ask About Our Deluxe Family Climbing Package: Includes 2 lessons for adults & 2 daypasses for the kids! Looking for a physical activity that will hold your kids interest? 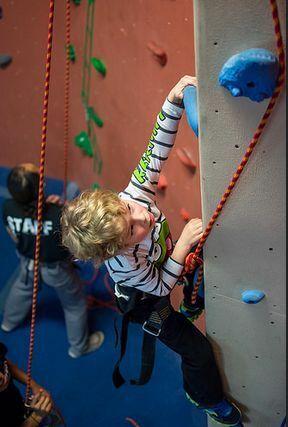 Our after school programs offer an exercise alternative that kids take to naturally - climbing. Build confidence, make new friends, stay active, and have fun! 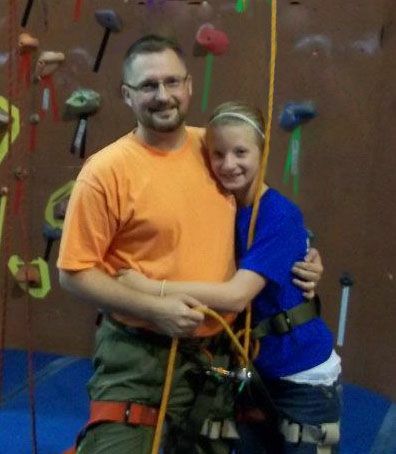 Ask About Our Competitive Climbing Teams: Learn climbing from the best coaches in the area!